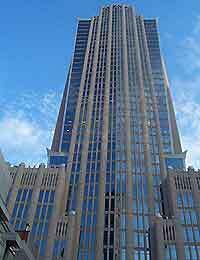 View of the striking Bank of America Corporate Center, built in 1992 measuring 265 meters / 871 feet. 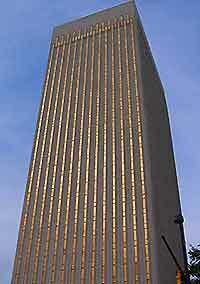 Photo of the 400 South Tryon skyscraper, built in 1974 measuring 128 meters / 420 feet. 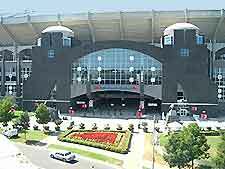 Entrance to the Bank of America Stadium, built in 1995 and home to the NFL's Carolina Panthers. 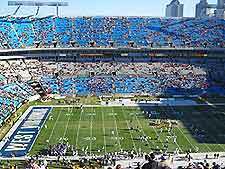 The Bank of America Stadium, accommodating up to 73,000 spectators. 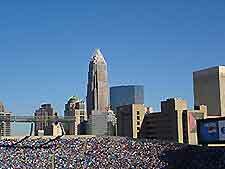 Further view of the Bank of America Stadium, showing the cityscape in the background. 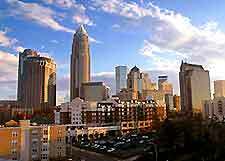 Modern buildings and skyscrapers abound in downtown Charlotte. 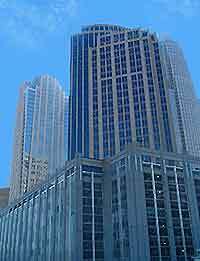 View of the city, showing the different styles of architecture in and around the city center. 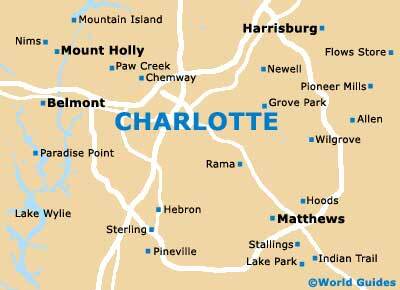 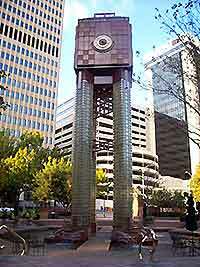 Picture showing the Wachovia Clock, located in central Charlotte.